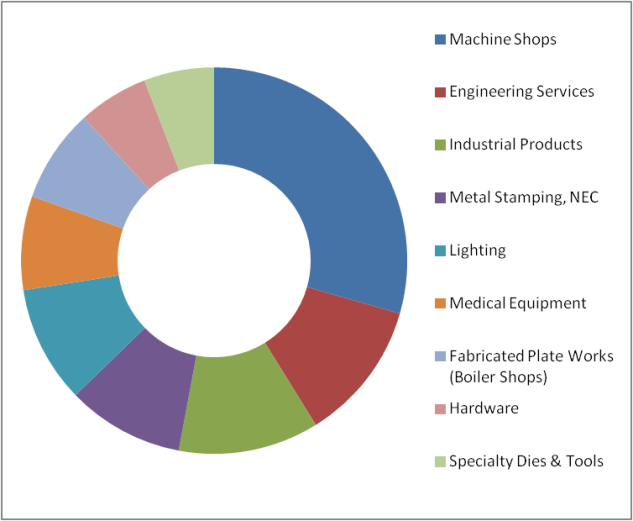 What types of Industries do electroplating companies serve? 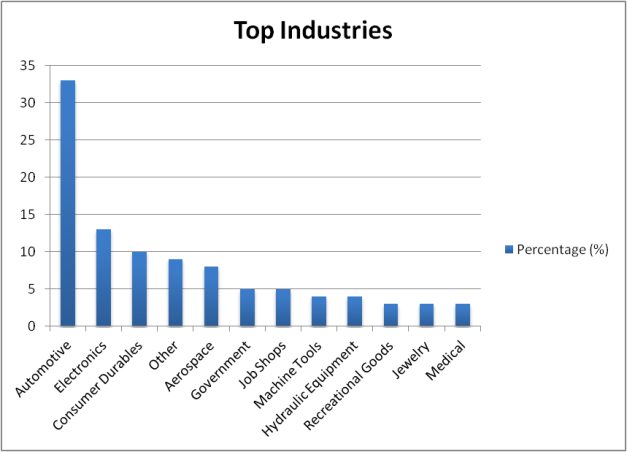 What industries are the most prominent? From this information on metal plating, one can see that the automotive and electronics industries hold a significant portion of the overall electroplating customer base. However, it is important to point out, this information does not necessarily hold true for every metal plating shop. In reality, the industries served at the individual shop level are highly dependent on the size and specialty of each business. For example, at American Plating Company we do not offer chrome coatings, but we offer almost every other type of electroplating you can think of. Due to this fact, the industries we serve will differ from a shop which does offer chrome coatings. As you can see, based on this report, many electroplating companies in the St. Louis area tend to serve smaller machine shops and engineering companies. This is simply due to the size and specialties of metal plating shops in the local region. Why is this information relevant ? At American Plating Company, we believe this information is extremely valuable. Knowing what customers to serve and who to reach out to can drastically improve customer relations and increase business for both parties involved. However, keep in mind, this information on metal plating is simply a short overview of the industry in general. To successfully connect with customers, we explore there local market thoroughly before a communications plan is put in place. Thanks for reading part II of our industry report! We hope this information on metal plating was helpful. As time goes on we will continue to post more data on this topic which will also include an analysis of the customer base and predictions for the future of the metal plating industry. Until then, feel free to check out our other blog posts or contact us with any questions you may have.